M. D. Jackson has traveled and lived all over the Southwest/Northwest. She visits everything from tourist traps to National Monuments. 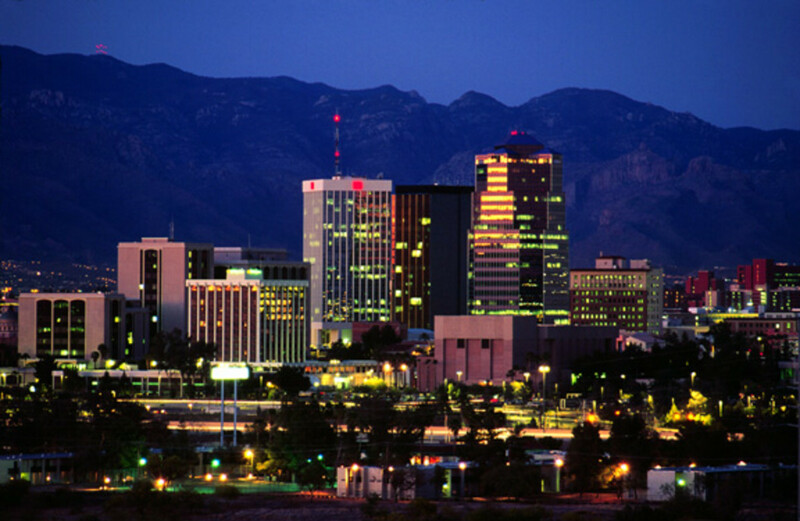 Welcome to Arizona the Grand Canyon State! The Grand Canyon is one of the remaining seven wonders of the world. Carved out by the Colorado River over thousands of years, the Grand Canyon is a tourist destination and draws visitors from all over the world. As an over 20 years resident in Arizona, I have been to the Grand Canyon in almost every season. We have gone in the spring as the wildflowers bloom and the rains came, we have stood in the freezing cold snow of the harsh winters, and we have hiked the rim in over 100 degree summer temperatures. All of these trips were unique. It seems that every time we go to the Grand Canyon we see something we never noticed before. Your Grand Canyon view depends on the time of day. Early morning and late evening tend to be the most colorful times to visit. All those majestic postcards are shot in the morning or evening. Cloud cover adds a dimension to the canyon. If you are lucky you might even be there on a day where lighting is happening. 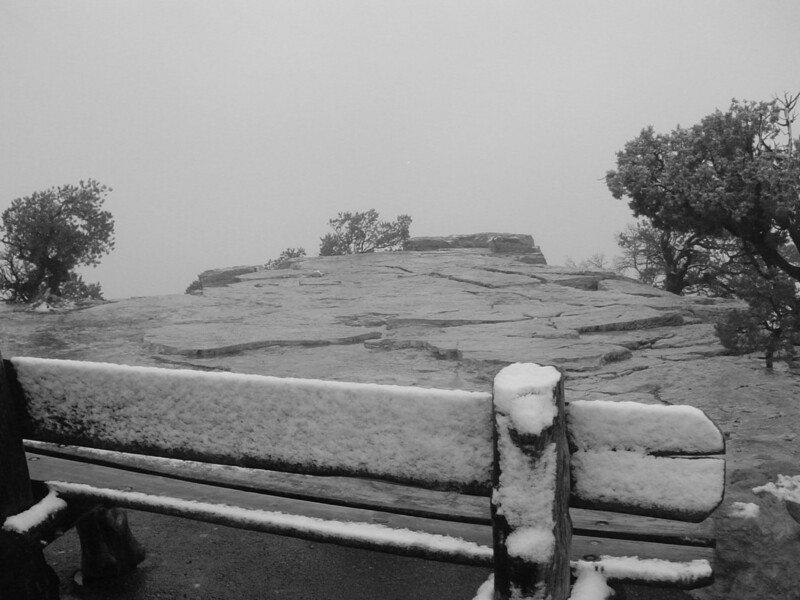 Here is a canyon tip, if its snowing, you may not be able to see the canyon, however they will not tell you that when you get to the gate. They will charge you and let you in even if it’s zero visibility. Unless you hike into the canyon, you are not going to get a good view of the Colorado River. Even if you can see the river it tends to look like mud from most vantage points. 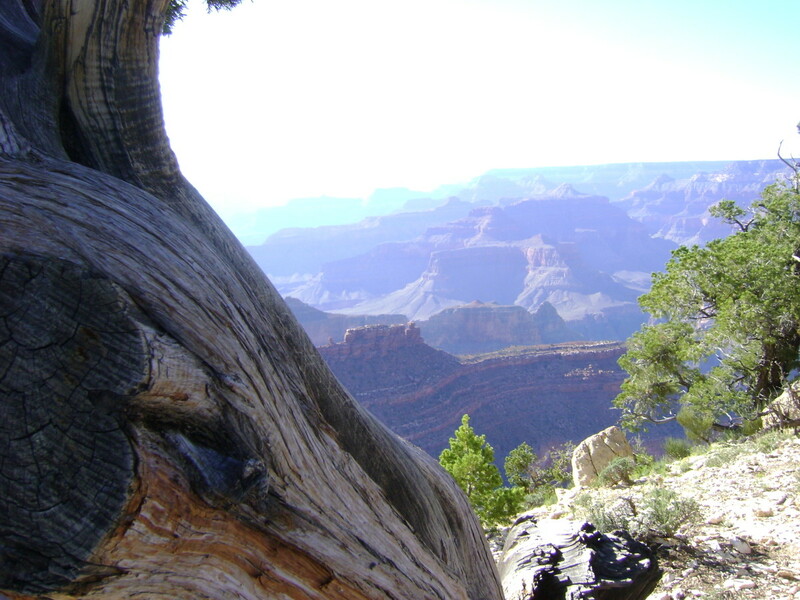 Most people walk the path on the rim of the canyon. If the weather is mild it’s not a strenuous walk. The visitor center runs a shuttle to the upper portion of the canyon. My passion for photography always leads me to taking hundreds of pictures when we are at the Grand Canyon. One of the Great Things about the Grand Canyon is that you can get pictures without tourists in them. The rim is so long that even though you pass people on the trail, they are not generally in your way. You can get good pictures of the Canyon from almost any point on the trail. Below are just of few of the interesting things we saw on a trip from 2010. The first picture is of my husband and sons out on a peninsula that does not have rails. There are steps to get to this peninsula but, its a one person path. 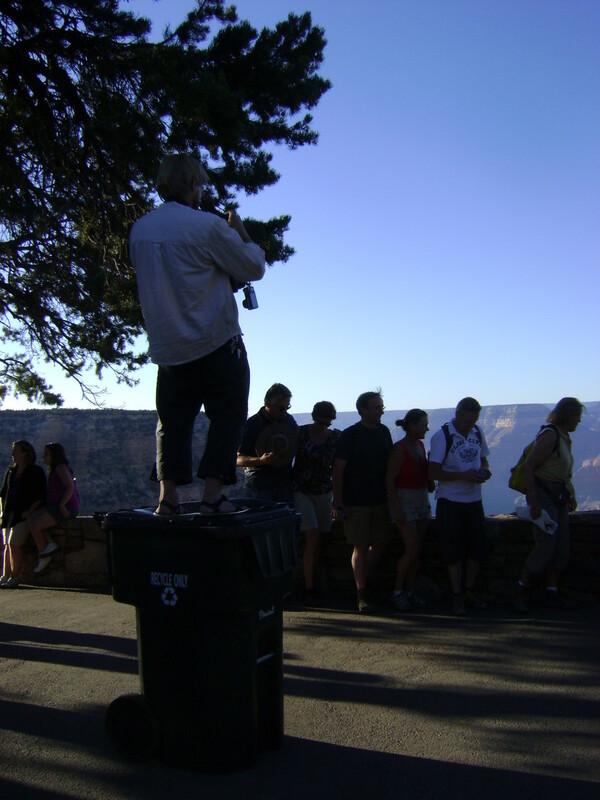 The second picture is of a German tourist standing on a garbage can trying to take a group photo. I found this behavior interesting. The trash can had wheels and could have slipped at anytime. It was certainly a moment to reflect on what is important. That being said, the man got down safely. I have to wonder who came up with the idea to put the man on the trash can. The third picture is indicative of what people do when they have little respect for nature. 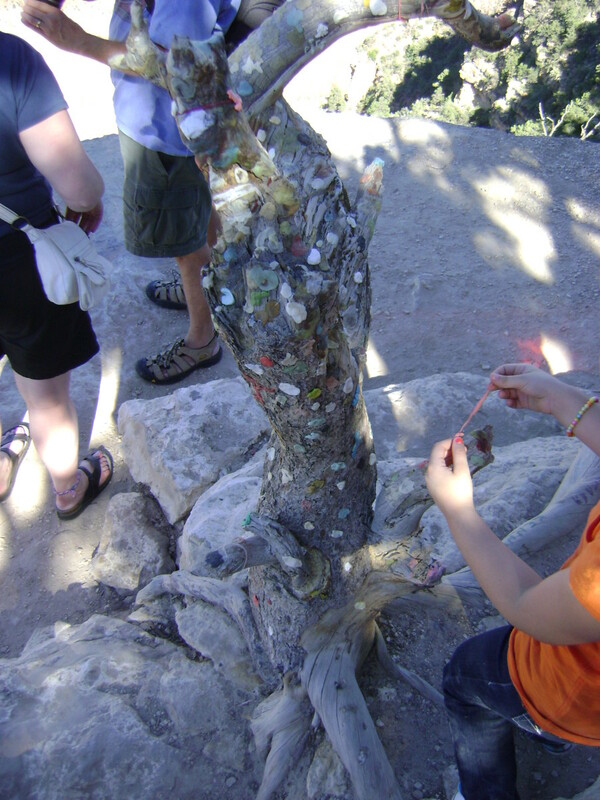 The gum tree is actually a stump that people have been depositing their gum on for quite some time. I was amazed at how many people added to the gum tree in the few minutes in which I stood there. The little hands about to put gum on the tree belonged to a little girl from Peru. She was an adorable vandal. The last picture is the Grand Canyon in the spring. 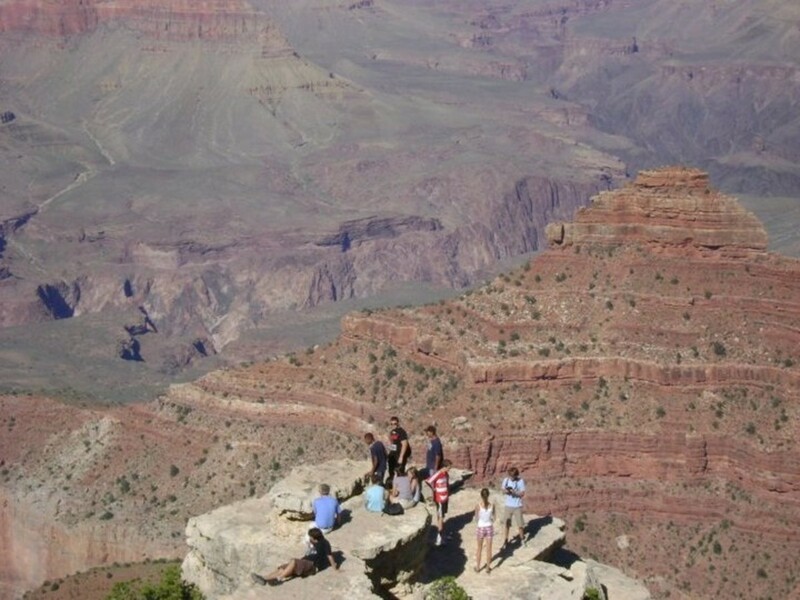 As a tourist there are a few things you should know about the Grand Canyon before you go. The first thing is that only a few spots on the Canyon trail have rails and the drop offs are steep.Most of the trail is open to the edge. You will see visitors sitting on the edge all over the place, you will see kids running and playing near the edge without supervision. There are signs posted all over to stay away from the edge yet no one seems to heed this advice. 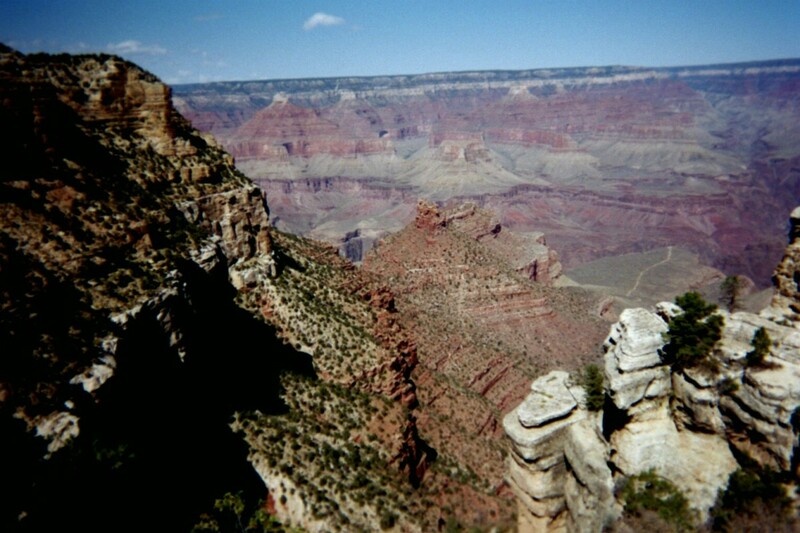 The first time I went to the Grand Canyon I was scared to death my four year old son was going to run off the edge. 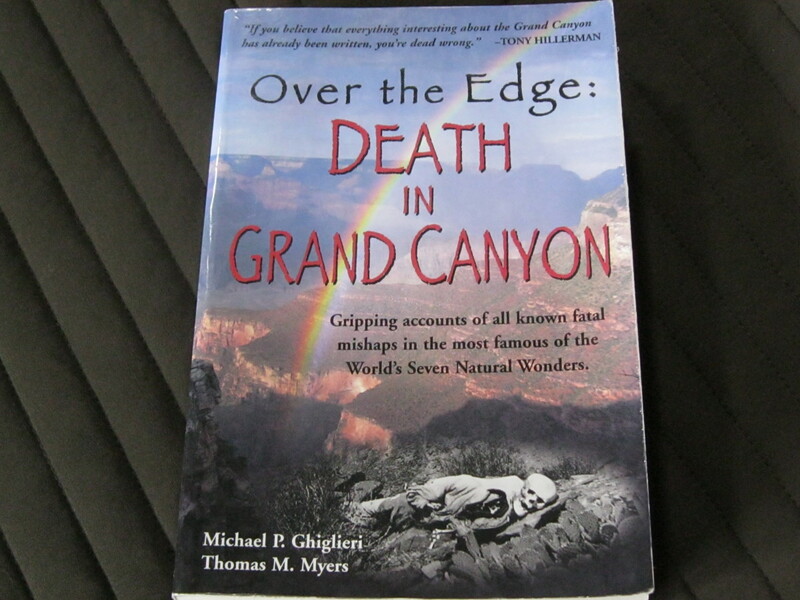 When I lived in Flagstaff Arizona, a tourist was lost over the edge of the Canyon almost monthly. The Grand Canyon is carved out of a very crumbly rock, so anyone who gets near the edge is running the risk of the ground going out from under them. Tourists disappear all the time so heed the warnings and don't sit or stand on the edge. There are plenty of places to get a good picture without risking your life. 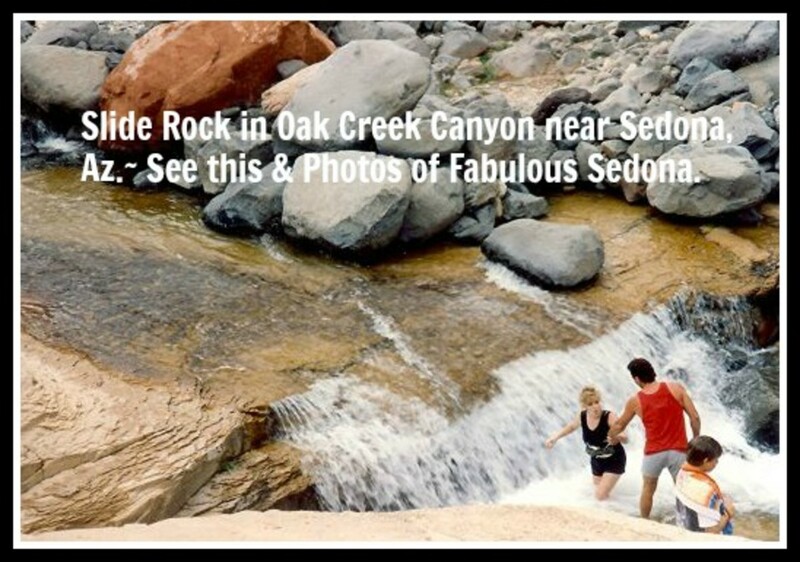 Second thing is that only people in peak physical condition should attempt the hike down to Phantom Ranch. People think it's no big deal to hike down the path into the Canyon however, many people have died of issues surrounding that hike, including dehydration. 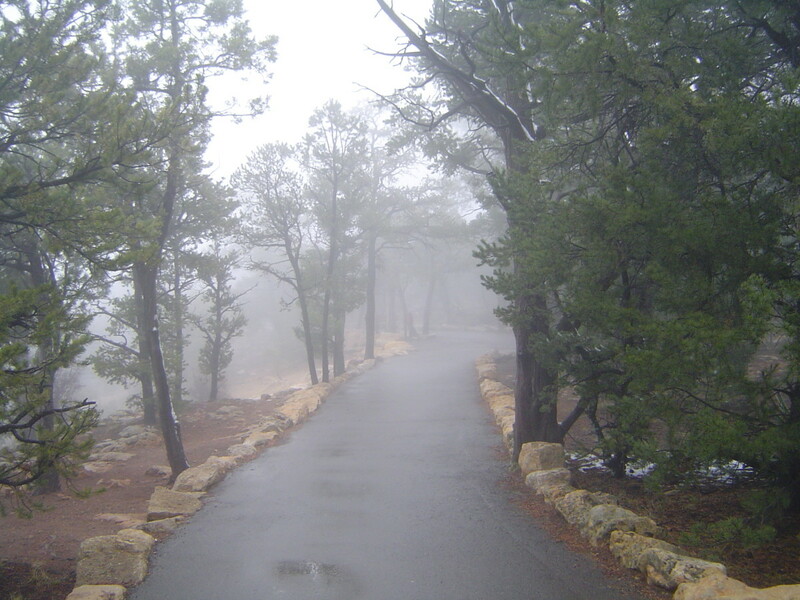 Taking the South Kaibab Trail the hike to Phantom Ranch is 7.5 miles and takes 4-5 hours. If you are not a seasoned hiker in peak condition, this is not the hike for you. Do not attempt this hike with children. The only way out is up that same seven miles. Again, people go missing every month from leaving the trail or going to far into the canyon without enough water or because they are in less than optimal condition. The third thing you should know is the options for food are minimal once you are at the rim(unless you want to spend a lot on money). It's best to eat before you go and take snacks. There is a grocery stores in Tuysayan as well as restaurants. The lines for the food at the Canyon can be long so plan ahead. My fourth tip is: stop if you see Natives Americans selling things on the side of the road. 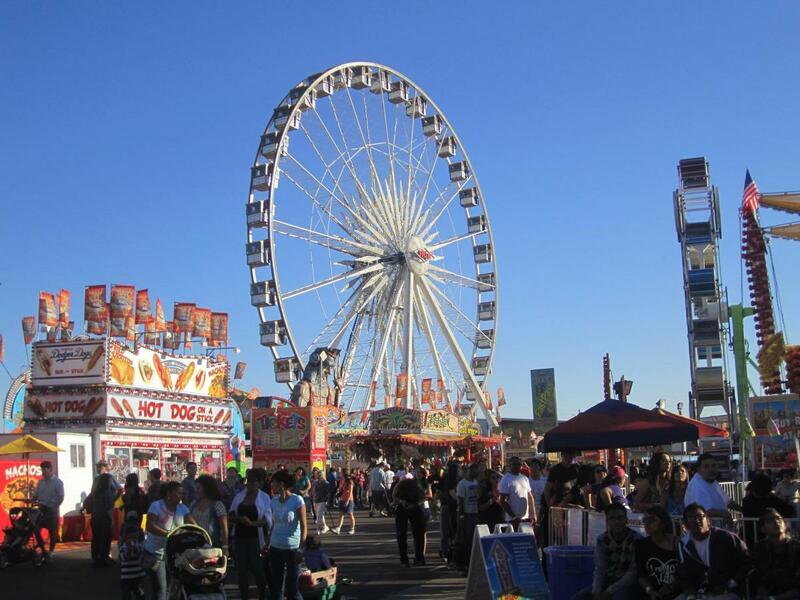 There was a time in Arizona when the Native Americans had booths set up all over the state. Today it is rare to see Native Americans selling anything by the road. Always stop and look. 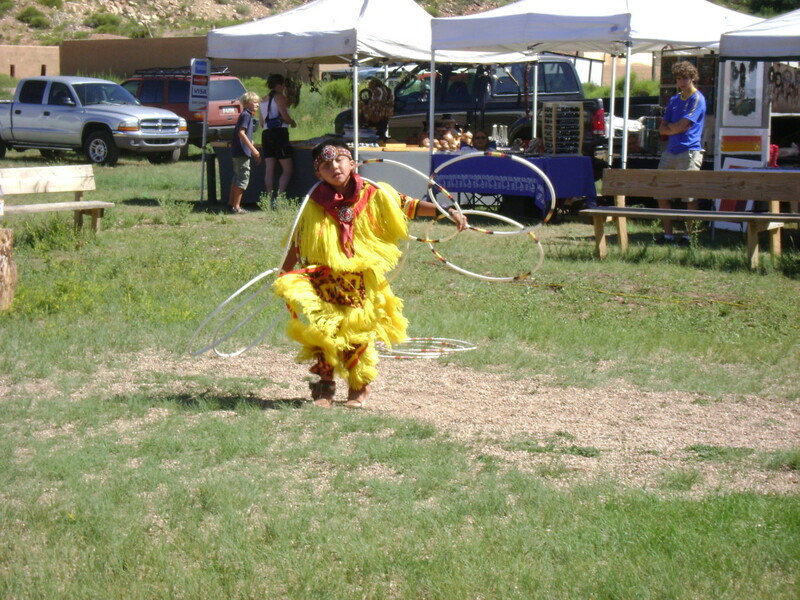 These tribes have roamed Arizona for thousands of years, their art is part of the history of our country. 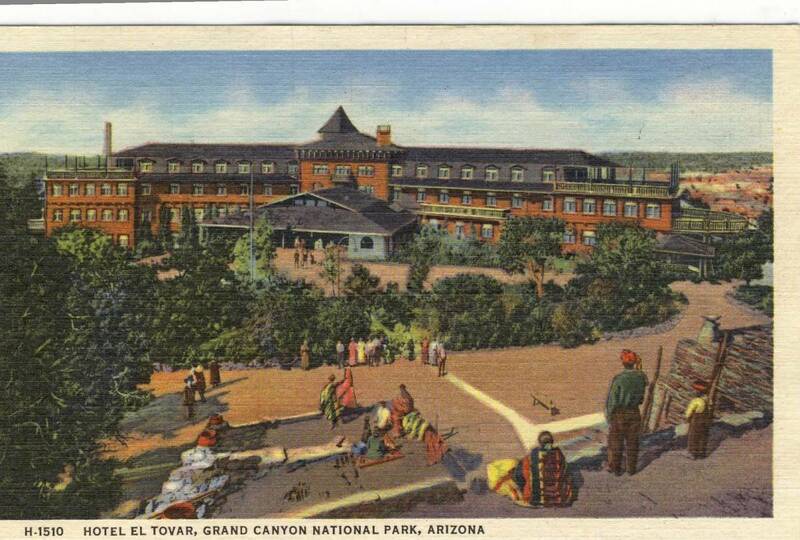 If you take home one thing from your trip to the Grand Canyon, let it be something made by the Native Americans. No matter which way you look the Grand Canyon is majestic. Wildlife is everywhere at the Grand Canyon from the birds to the squirrels. Pick a spot and be still for a moment, listen to the wind. There is something spiritual about the Grand Canyon. Often when I am standing near the edge I can hear the Native flutes playing in my head. I am reminded how small people are in this big world and I feel blessed with the beauty of the earth. I think everyone should see the Grand Canyon at least once, if possible in the spring. Every time I stand at the edge I think of the first settlers or even Native Americans riding up to the canyon and thinking “How am I going to get around this?” Bring your camera… you will need it!!! Current entrance fee per car is $30.00. Make sure you check out the visitors center!